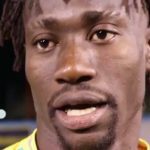 LV Lights FC defeated Real Monarchs SLC 1-0 on Saturday, March 30 at Cashman Field. 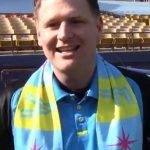 LV Lights FC will kickoff their season at Cashman Field this Saturday, March 9 at 7:30 p.m. against Austin Bold. 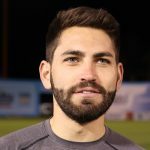 LV Lights FC held their first official preseason practice on Friday, January 11 at Cashman Field. 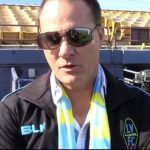 At the LV Lights FC’s Select-A-Seat event, newly hired head coach and manager, Eric Wynalda, spoke about his expectations for the upcoming season, new players, the city, and more. 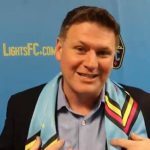 At the LV Lights FC’s Select-A-Seat Event, owner and CEO, Brett Lashbrook, discussed hiring new head coach and manager, Eric Wynalda, the upcoming season, and more. 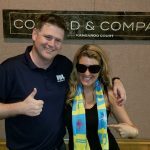 The Hometown Hero joins Steve Cofield, Adam Hill & Ryan McKinnell to discuss The Simon Keith Foundation and The 5th Annual Golf Tournament and Dinner Friday, October 5th at the Revere Golf Club. 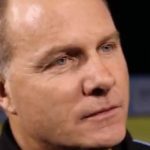 The Las Vegas Lights FC CEO/Owner joins Steve Cofield & Adam Hill to talk coaching changes, reflect on the season and preview the next three games.